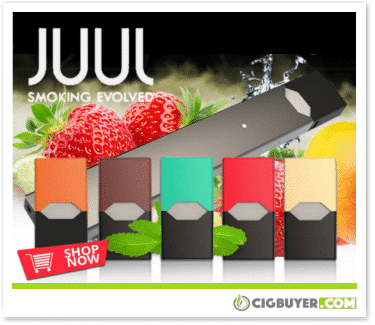 With the enormous popularity of the Juul vaporizer, we thought that it was worth sharing a couple of deals on Juul Starter Kits and Juul Refill Pods. Manufactured by Pax Labs, the Juul e-cigarette is responsible for the growing use of nicotine salt e-liquid; which provides more efficient nicotine delivery without the throat irritation or harshness. The Juul was the first, and widely considered the best pod-based device for use with nicotine salts. The Juul vaporizer is extremely easy to use, with simple one-button operation and 0.7ml (50mg) Juul pods available in a variety of flavors.